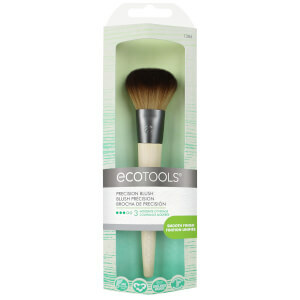 An earth-friendly tool for a flawless base, the EcoTools Foundation Brush evenly applies cream and liquid foundation providing a smooth, blended finish. 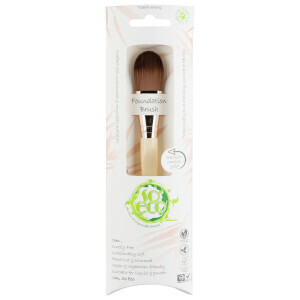 The brush can be used to help cover under-eye circles and imperfections. 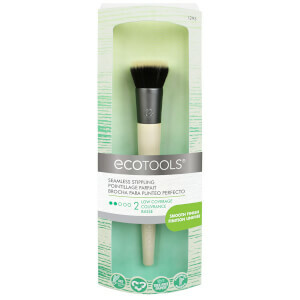 Crafted with a highly sustainable bamboo handle, 100% cruelty free synthetic taklon bristles and recycled aluminium ferrule. Passe o lado achatado do pincel na base. Aplique a cor, começando no centro do rosto e passando para fora, em direção ao contorno do couro cabeludo. Use passagens curtas e longas para cobrir todo o rosto e eliminar riscos.